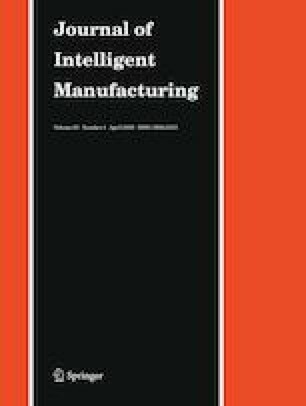 The recent manufacturing trend toward mass customization and further personalization of products requires factories to be smarter than ever before in order to: (1) quickly respond to customer requirements, (2) resiliently retool machinery and adjust operational parameters for unforeseen system failures and product quality problems, and (3) retrofit old systems with upcoming new technologies. Furthermore, product lifecycles are becoming shorter due to unbounded and unpredictable customer requirements, thereby requiring reconfigurable and versatile manufacturing systems that underpin the basic building blocks of smart factories. This study introduces a modular factory testbed, emphasizing transformability and modularity under a distributed shop-floor control architecture. The main technologies and methods, being developed and verified through the testbed, are presented from the four aspects of rapid factory transformation: self-layout recognition, rapid workstation and robot reprogramming, inter-layer information sharing, and configurable software for shop-floor monitoring. This work was supported in part by the Institute for Information & Communications Technology Promotion (IITP) under a grant funded by the Ministry of Science and ICT (No. 2015-0-00374), and by the Ulsan National Institute of Science and Technology through the Research Fund of Development of 3D Printing-based Smart Manufacturing Core Technology (No. 1.190032.01). Chalmers University of Technology. (2018). SII-LAB. http://www.siilab.se/. Accessed December 12, 2018. Deloitte. (2018). Deloitte digital factory—Evolution of the smart factory leading to new business models. https://www2.deloitte.com/de/de/pages/operations/articles/digital-factory.html. Accessed December 12, 2018. Pillai, S., Walter, M. R., & Teller, S. (2015). Learning articulated motions from visual demonstration. arXiv preprint arXiv:1502.01659.